We are a local business that provides superior Residential and Commercial Carpet Cleaning and Maintenance. We also provide an exceptional array of other carpet and rug cleaning services that include but are not limited to: area rug cleaning, oriental rug cleaning, upholstery cleaning, mattress cleaning, steam cleaning, deep cleaning, spot stain treatment, pet odor control, water damage restoration, and other cleaning services that guarantee a cleaner, fresher, and healthier environment for your home, office or business. Our technicians are professionally trained and every project we do is done with the respect our customers deserve. We provide service in San Francisco, Peninsula, Marin County, parts of East and South Bay Area. 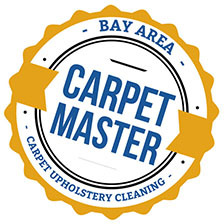 At Bay Area Carpet Master we take our customer care seriously and believe in honest, reliable, excellent service with a quality product at the best value. Our promise is to meet the highest standards in the industry that in turn has lead us to lifelong customers. 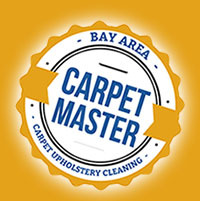 WHY BAY AREA CARPET MASTER? Please correct the highlighted fields! Get saving offers and seasonal coupons! Please correct the e-mail address. Service for home owners, renters, realtors, property managers, and subletters. Service for commercial buildings and business establishments, offices, hotels, restaurants, and more.